In celebration of a 15th wedding anniversary, I created this family portrait, translating a snapshot into thread. 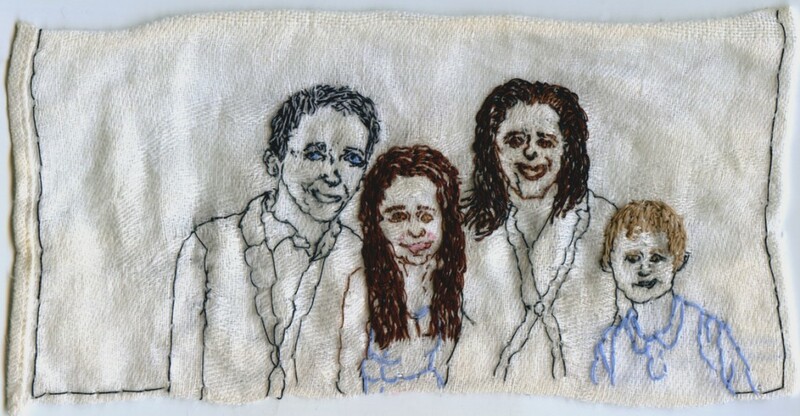 “Family Portrait.” Embroidery on fabric. 2012. 4 x 7.75″.